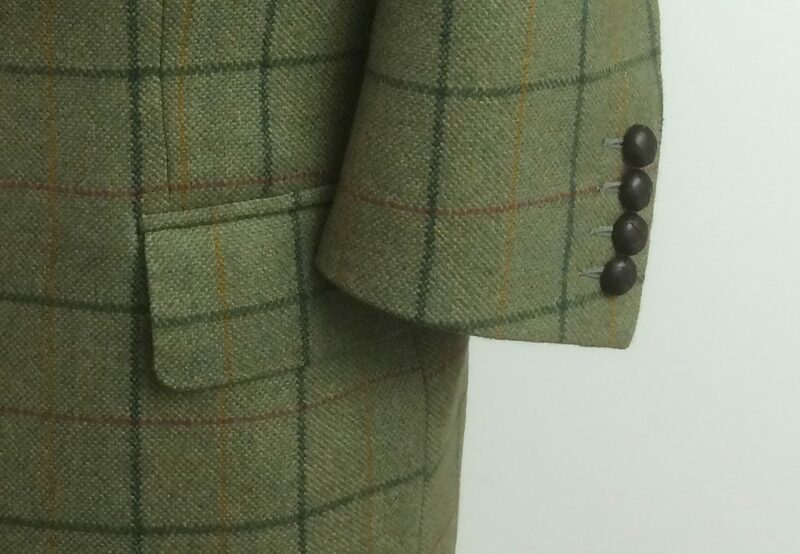 Paul chose a classic green tweed bespoke jacket with a burgundy, mustard and bottle green windowpane. At 14oz this cloth is not too heavy and in my opinion, can be worn for three out of four seasons. If you are looking for something similar, it can be found in the Porter and Harding Glenroyal bunch. The dark brown leather buttons finished the jacket off. Struggling for a style you like, take a look at my Pinterest page for ideas. You’ll find everything from suit styles and colours for both men and women. 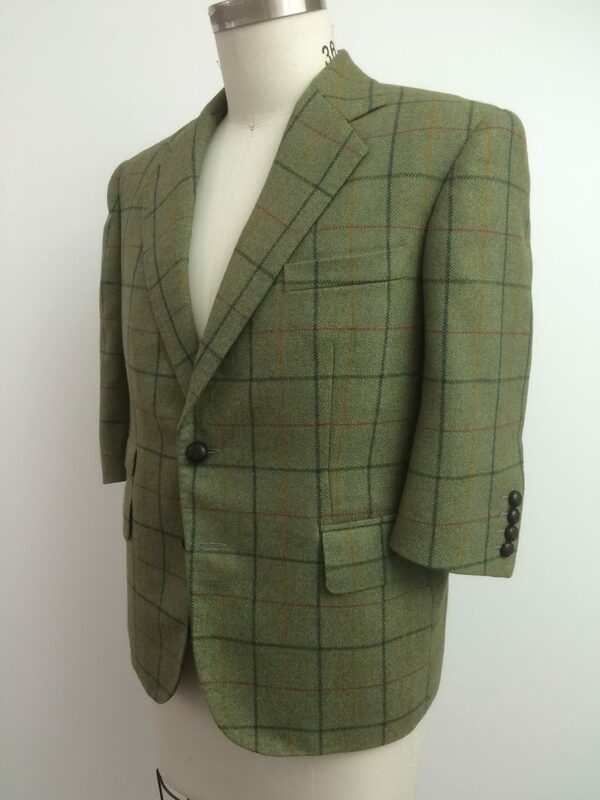 There are boards just for wedding suit inspiration, again for men and women as well as focussing on the little touches that make one garment stand out of the crowd.